If you know me, you know I love a nice glass of wine. 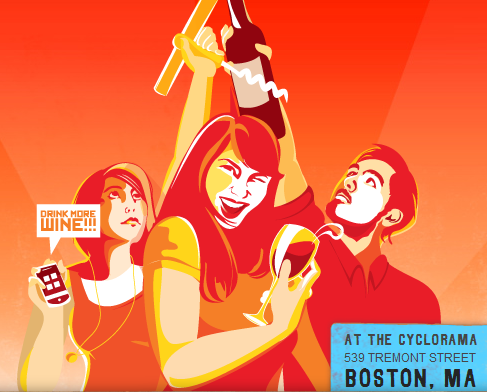 This Wine Riot event is coming up. It is in Boston at the Cyclorama on Saturday, April 17th from 1pm to 5pm. There will be over 250 types of wines from all over the world, as well as cheap food from local joints. Tickets for the event are typically $45 BUT if you go online TODAY to Groupon.com Boston, tickets will be only $30. But HURRY! This is only a limited time offer.